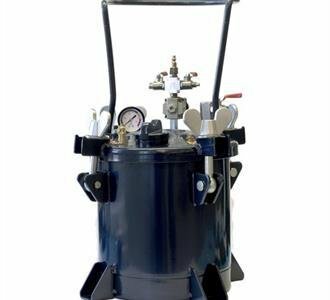 2-1/2 Gallon Galvanized Pressure Tank. 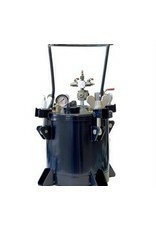 Used to Pressure feed Paint to automatic or Manual spray guns. 50PSI max Pressure. Versatile Unit for Pressure Casting Liquid Rubber and Liquid Plastics. Pressure casting resins is optimal for creating castings that are truly bubble free.